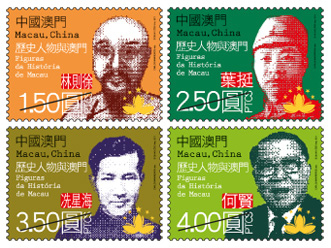 Macao not only has the “Historic Centre” universally acknowledged by the world, also has globally well-known historic figures. 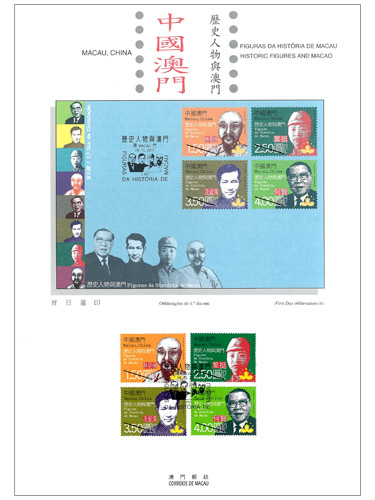 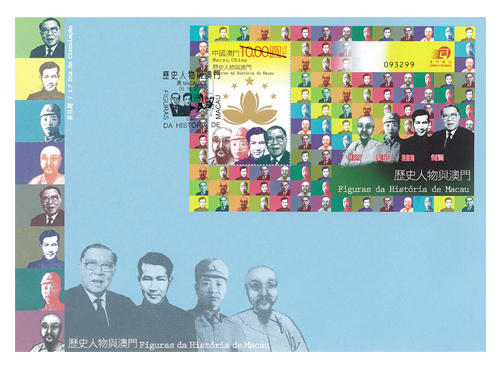 Macao Post will issue the stamp theme “Historic Figures and Macao” on 9th October, 2011, to pay tribute to these personalities who have contributed greatly to China and Macao. 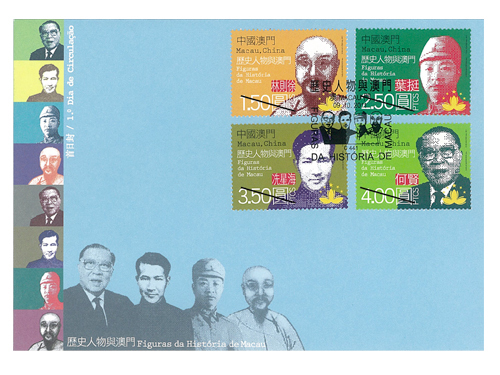 This issue includes a set of four stamps and one souvenir sheet, the four figures connected with the history of Macao as the character of stamps, they are Lin Zexu – a national hero; Ye Ting – a military commander of the “New Fourth Army” in China; Xian Xinghai – a great and strong musician, Ho Yin – a patriot model in Macao. 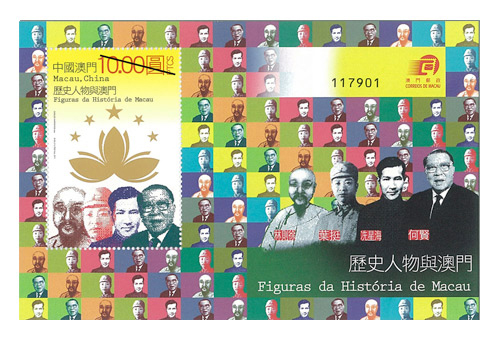 The souvenir sheet presents the golden lotus blooming in the glow of five stars, which even reflects the lofty value judgment on the historic figures by Macao that has walked into new era. 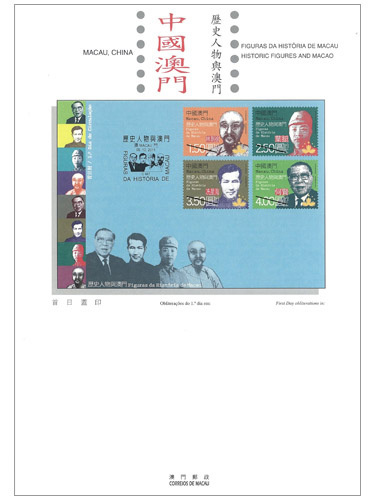 This is the eighth issue in 2011. 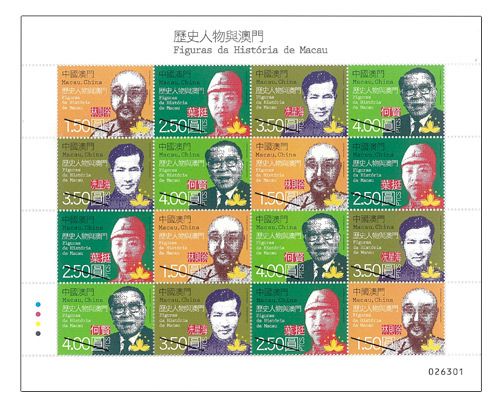 The previous issued stamps are “Lunar Year of the Rabbit” on 05/01/2011, “Mainland Scenery IV” on 01/03/201, “Public Buildings and Monuments” on 19/04/2011, “Cantonese Naamyam” on 30/05/2011, “Legends and Myths IX – The Legend of the White Snake” on 28/07/2011 and “50th Anniversary of WWF” on 11/09/2011. 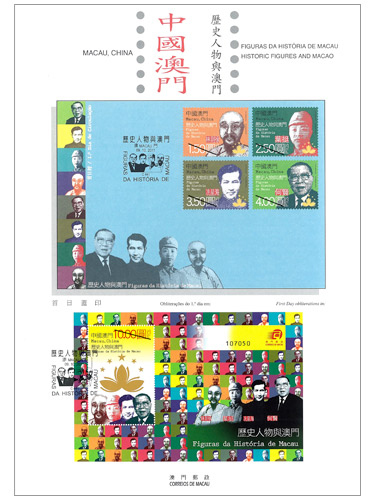 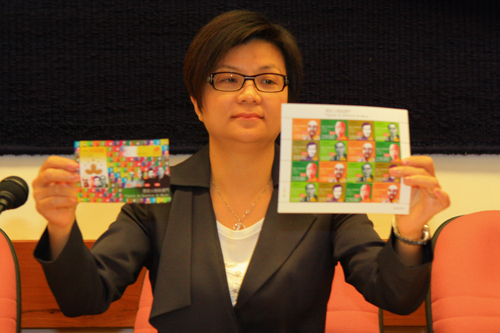 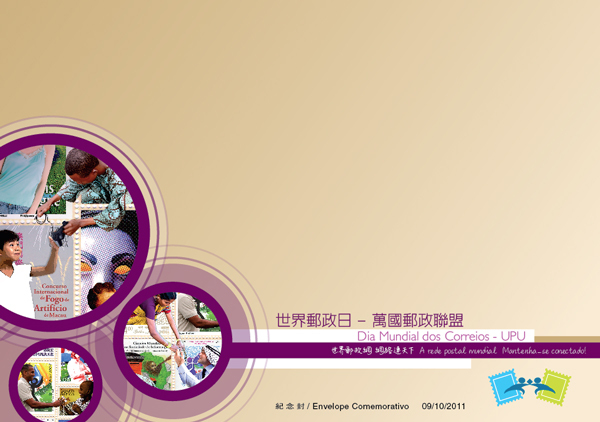 The stamp “25th Macao International Music Festival” also issue at the same date on 09/10/2011. 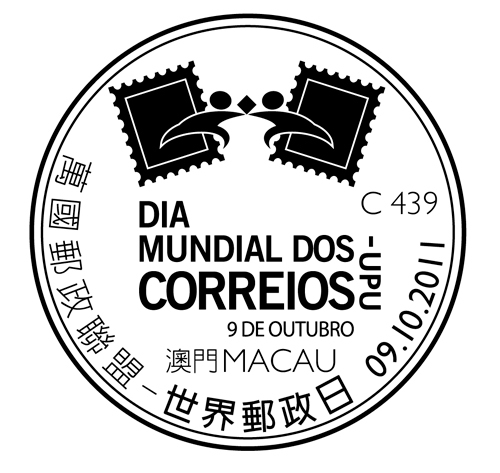 Macao Post announced that a Temporary Post Counter will be set up at our Philatelic Shop located at Macao Post Headquarters and the Communications Museum on 9th October 2011 providing the commemorative cancellation service for the “World Post Day – UPU”.